Foxhole Homes, a non-profit that provides sustainable and affordable housing for the homeless including veterans, launched the beginning of their sustainable community for the homeless early Friday morning on Veteran’s Day. The proposed community, which is the first of its kind in Otero County, will be located at the corner of Alamogordo Drive and Tularosa Street. Foxhole Homes founder Darron Williams said the particular location was chosen because it fit exactly what they were looking for. Williams said the location was also perfect because it wasn’t too far from an urban area. Foxhole Homes has been on a journey for the past two years and their vision is almost a reality. 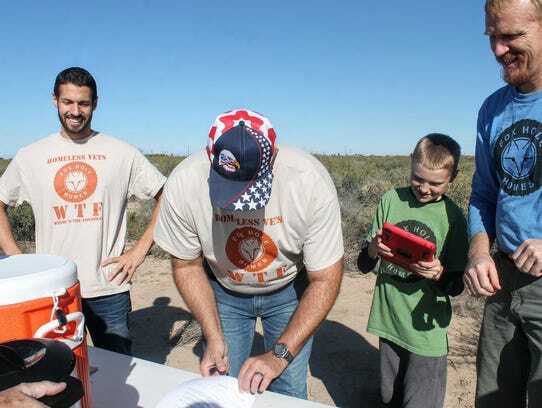 In October 2015, Foxhole Homes launched their first off grid and sustainable home construction project in Tularosa on Rattlesnake Road. 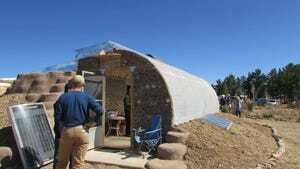 The housing is inspired by Earthship Biotecture and is constructed with repurposed materials including car tires, glass bottles and cardboard. Earlier in July, Foxhole Home founders requested from county commissioners to build a test site at 16 Matthews Road under the state act that contained two tiny houses using different thermal mass structures for walls for less than $5,000. 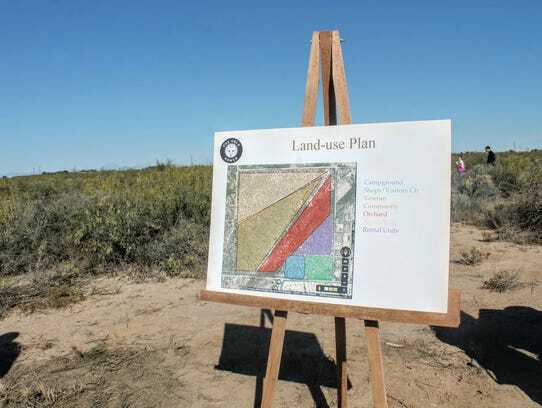 In September, commissioners approved Ordinance 16-07 Sustainable Development Test Site Act that was modeled after the New Mexico Sustainable Development Testing Site Act. Despite support from county commissioners, at the latest commission meeting on Nov. 10, County Commissioner Janet White said she would not sign a letter of support granting Foxhole Homes machinery to develop their infrastructure until they make a few clarifications. Commissioners Susan Flores and Ronny Rardin agreed. White said her other concern was who the community was intended for. “When you made a presentation to us in the beginning it was characterized for homeless veterans, in the letter of support there are no mention of veterans,” she said. “That needs to be clarified in my mind. We really need to know in Otero County what our homeless situation is. Foxhole Homes co-founder Ted Brinegar said they are just asking that the commission acknowledge that their organization is addressing homelessness in Otero County. Williams said the letter of support was essentially to afford them the opportunity to acquire equipment that is inexpensive. Eventually, Foxhole Homes will start screening veterans to see who will live in the sustainable community. Before they can actually start building, the design will need to be approved by county commissioners. Williams said he understands he commissioner’s objections but he is positive he will get around those issues quickly.